A magical Faberge egg glows within the walls of Russia’s Winter Palace. But it’s not in the right hands. I was very intrigued by the idea of this story, Romanov Russia has always been interesting to me and the stories that surround the family have always been fascinating. While intrigued, I was also very worried. I honestly had no idea how Ms. Patrick was going to finagle a love story with Alexei, who was only thirteen when he was killed, it seemed like it would be at the very least, a very short and sad novel. The truth it, Ms. Patrick did manage a love story starring Alexei, but this story was much more than that. It was not so much a story of Alexei, though he is very important to the novel, but it was a story of his love, Natalya, and her quest to save Russia. The relationships in Tsarina were something special as each character complimented one another. Each character believed in something whole heartedly, and each felt conflicted with their companion’s beliefs. Natalya and Leo were especially interesting to view together as they both believed in a better Russia, and though they started as not being able to understand one another’s beliefs, they eventually came to realize that they both wanted the same thing. I can’t completely say the same about Emilia, thought I do think that she believed what she did was right, she was still rather close minded in comparison to those around her. I found that I really enjoyed Natalya, she had a strength within her that shone through as she moved forward in her task. Throughout the novel, she remained faithful in her unwavering support of her true love, Russia. As stated, Leo had the same strength as Natalya, he believed in his ideal Russia and did what he thought necessary to succeed. The mysticism that played a part in the central storyline was fantastic, and Maria’s character was especially interesting, and through her, the portrayal of Rasputin was incredibly intriguing. In fact, if Ms. Patrick chose to write a novella from Maria’s point of view, I would be very interested, seeing things from her mind would be fascinating. I can’t say that I didn’t see the romance of the novel coming, but it unfolded slowly and surely in a way that made it very believable and sweet. I had my doubts, but this was very well done. I enjoyed it much more than I thought I would, and I do believe it is a book that has a little something for everyone. To those of you worried about the historical inaccuracies, I remind you that this is a work of fiction. The author really did a wonderful job of keeping things historically accurate while also adding a very interesting fictional storyline. 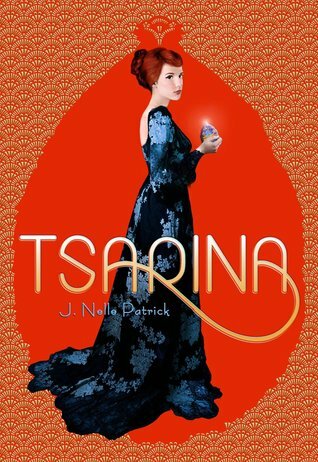 Overall, I am happy to say that Tsarina was a beautiful portrayal of a rather sad piece of history. It is a story of a girl who believes in love. It is a story of hope. 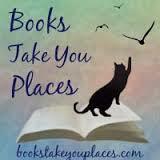 This entry was posted in Reviews and tagged historical fiction, romance, Romanov family, Russia, Russian. Bookmark the permalink. I’m not usually a big fan of historical fiction, but this one sounds really good. Added to my TBR!